How to negotiate your departure after a Burnout? 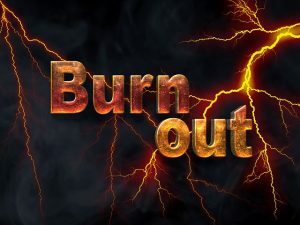 The burnout is an overheating state from an excess of stress related to a feeling of being submerged by the volume of tasks to be accomplished. Psychological signs of this are mental exhaustion, low self-esteem, irritability, hypersensibility, hypervigilance, a state of alert, a promptitude to anger, tears and conflicts at work and at home. 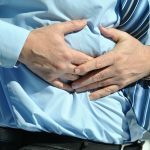 A series of physical troubles may also occur such as permanent tiredness, headaches, gastrointestinal troubles, sleeping and/or sexuality dysfunctions. Stress is a living body’s normal & mandatory adaptation mechanism. It becomes pathological when it exceeds the person’s response capabilities. At that time, the person simply can no longer act or think. She is like stuck. This is a very painful state and it is necessary to seek help from a physician and a psychotherapist. At the end of the sick leave period, going back to work may be the opportunity to negotiate your departure if the working environment has not changed and if leaving appears to be the right and only option for you. Do not start to negotiate, do not show any indication in that regard, do not respond to any inquiry or solicitation during the sick leave period. Get out of the victim position. Learn to say “no” et set up limits. Our specific situation: social or emotional isolation, lack of protection/support factors. Now, this vulnerability evolves throughout life, hence the wide variety of psychological, physical and behavioral responses. Therefore, it is crucial to take all the time you need during your sick leave period to get better. Don’t rush things, think of you only. I know, it’s difficult to do because if you’ve gone up to this point, then it means that you thought more about your company than about yourself. If your company contacts you to negotiate your departure during your leave of absence, refuse it! During that time, don’t be in contact with your company at all, don’t look up your emails and switch your professional cellphone off, otherwise, any contact will reactivate the sensible & painful zone in you. In other words, do to yourself what you were not able to do before: protect yourself! This will be the result of your coaching & therapy work, as you will look at what prevented you to build-up strong enough protective limits in you. Of course, I’m not suggesting that being a victim is your favorite position in general and consciously chosen, but this sentiment is widely known among people in burn out. This may be about feeling being victim of the circumstances, of your company, of yourself, sometimes the feeling of not having being good enough despite all your efforts, or being inadequate, and all this under the eyes and sometimes vague and more or less direct allusions from your company that you weren’t strong, since ‘being strong’ is glorified by society and professionals. To reach and cross your limit is the sign that you have been overwhelmed by the wave of tasks and responsibilities for a certain period of time. To seek help and work on your capability to say ‘no’, set up limits, state your will to protect yourself and not fall ion the same old scheme again is what coaching and therapy will help you to do. You will then reclaim your power on your life and be in a much better position to negotiate. To burn out is often seen as a weakness by society and professionals, and sometimes by yourself! This is unjust because you did your best. No one, ever, should get sick because of the work he or she does and shutting down like this is never a decision made lightly. On the contrary, it is very painful. 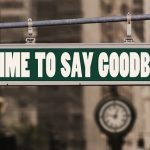 Upon your return with your company, you are legitimate to negotiate your departure with as much power and rights as outside of any burnout, if this is what you want. To know more on the topic of negotiating your departure after a burnout please use the enclosed contact form or speak directly with a coach specialized in departure negotiation.